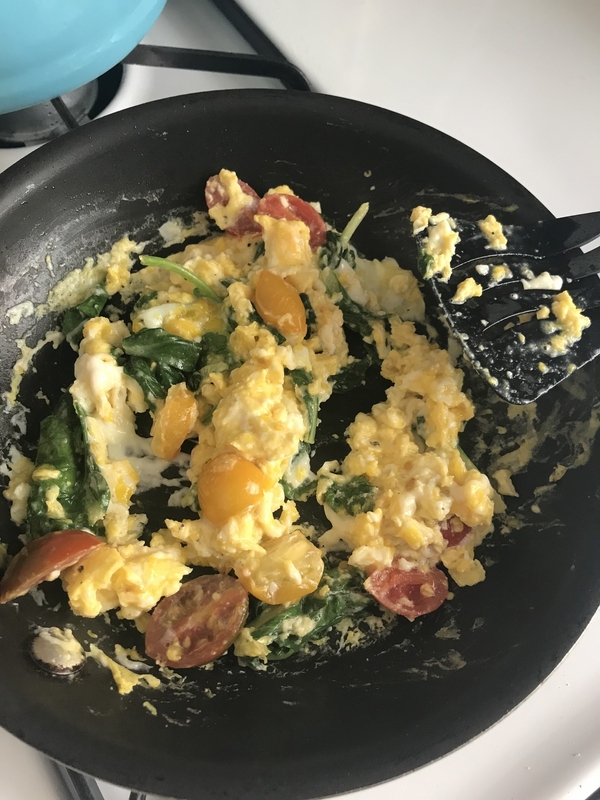 Is it possible to cook up a healthy, delicious breakfast from Pinterest in five minutes or less? Hi, I'm Farrah and I am not a morning person. This usually means I am rushing to get out the door to get to work on time, forgoing the most important meal of the day: BREAKFAST. The thing is, I love breakfast!!! What I don't like is all the sugar grab-and-go breakfast items contain, so I'll typically pass on things like instant oatmeal, muffins, or granola bars. Plus, fast-food breakfast items typically contain a ton of sodium/carbs, and I don't like to start my mornings feeling bloated. 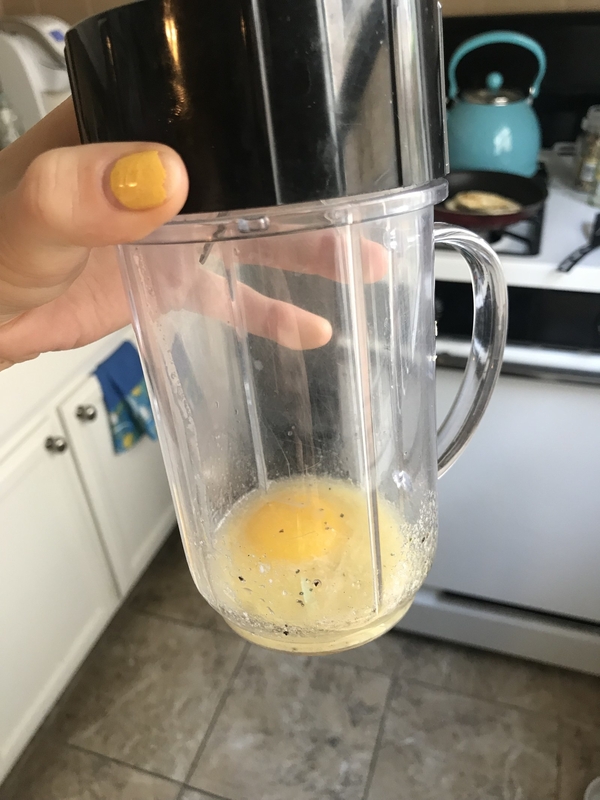 When browsing Pinterest, I saw a ton of delicious-looking five-minute breakfast recipes that also appeared somewhat healthy. Did I mention they claimed to take FIVE MINUTES? I knew I had to try them to see if 1) they were actually healthy and delicious and 2) they actually took five minutes or less to make. Just a quick side note before I continue on: My apartment has a gas stove and therefore heats up REALLY quickly. I believe it's why a lot of these took under five minutes to make! 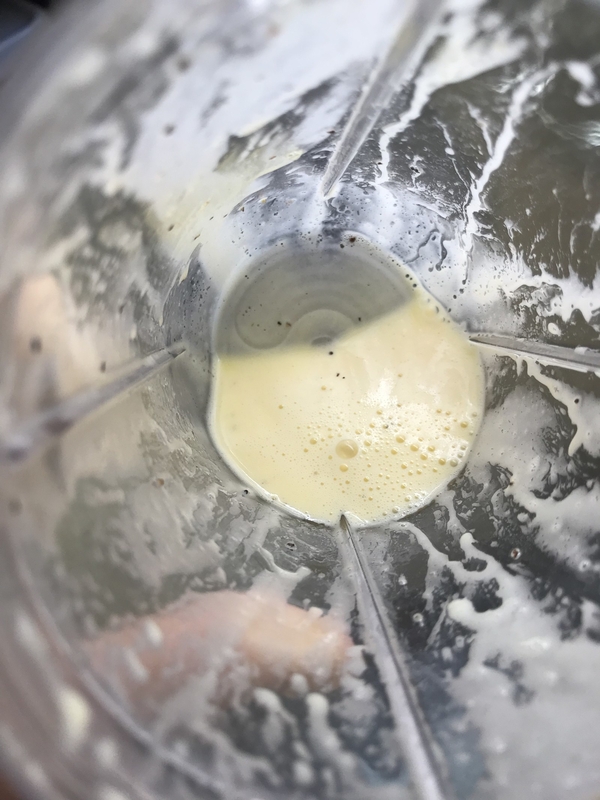 This five-minute hollandaise sauce recipe can be found here! When I saw the five-minute blender hollandaise sauce pin, I KNEW I had to attempt it. 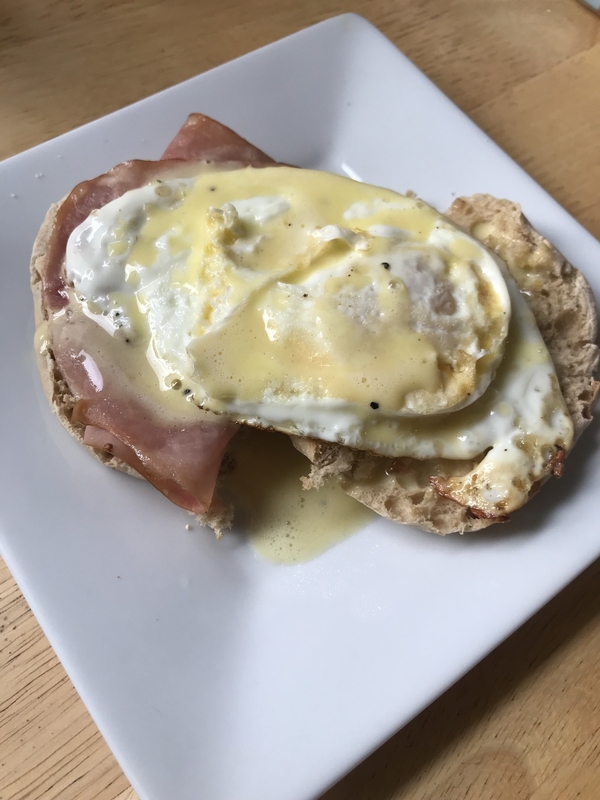 I love a good eggs Benedict, so I wanted to try and create a quick and easy one for breakfast. Melting the butter to put into the blender did take about two minutes, but blending the ingredients together didn't take me very long. You dump the egg yolk, melted butter, lemon juice, salt, pepper*, and BAM! There you have it. *I subbed the cayenne in the recipe with pepper. Because I toasted the English muffin and cooked an over-easy egg on the stove, it pushed me a little bit over the five-minute range. However, the recipe was for the hollandaise sauce only, and it did take me about four minutes to make. You guys, the hollandaise sauce was SO GOOD. It took this simple breakfast to the next level. 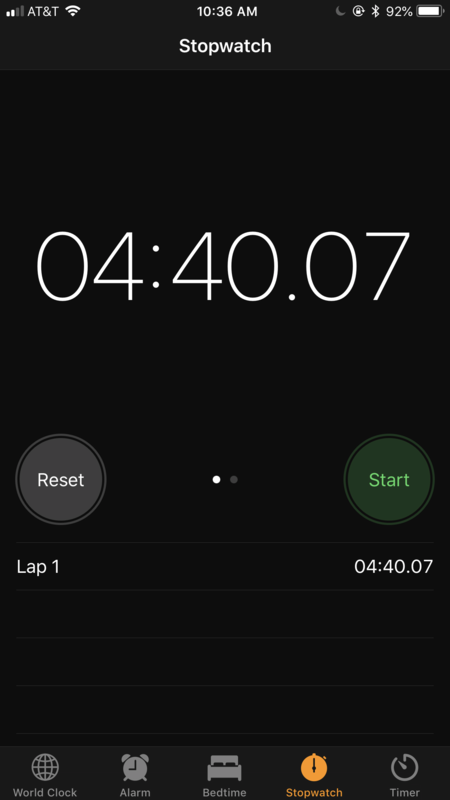 I would absolutely make it again, even if it does take a little longer than five minutes. I nearly started drooling when I first saw this pin because it combined my three favorite things: eggs, arugula, and pesto! This five-minute pesto arugula sandwich recipe can be found here! Weirdly enough, I recently purchased this freakin' delicious pesto from Trader Joe's and have been obsessed with putting it on everything. It was a pretty simple process. 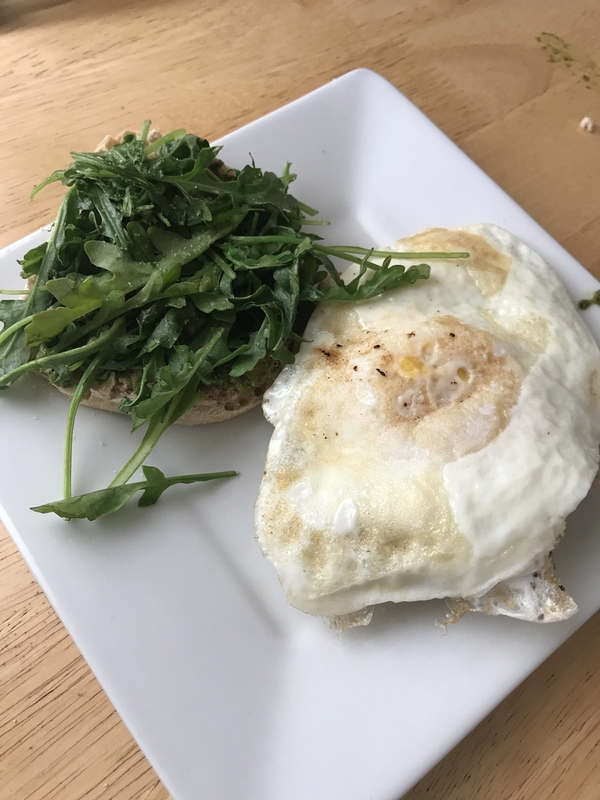 While the English muffins toasted, I fried up an over-easy egg in a pan. 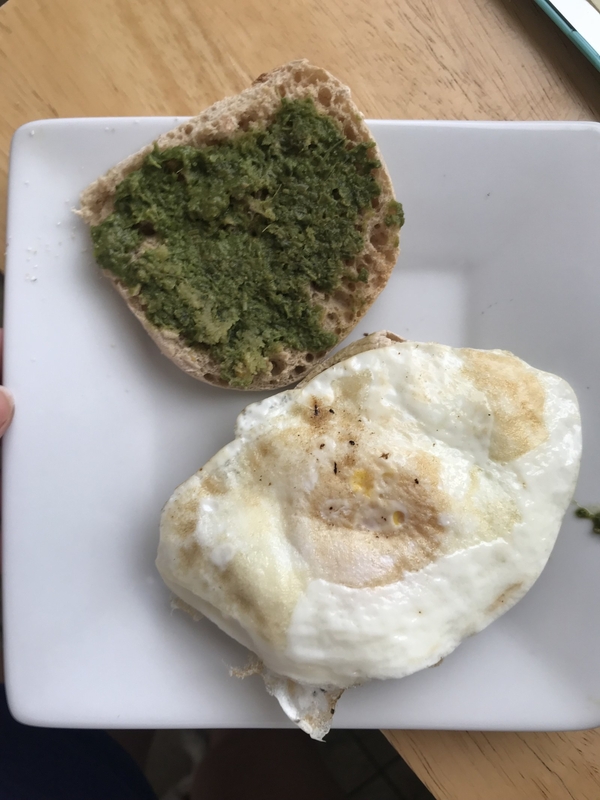 Then, once the muffins were ready, I slathered the pesto on both sides. The only thing I wasn't crazy about was the wilted arugula. It only took about a minute to wilt on the hot pan, but I really didn't like the texture. HOWEVER, the entire sandwich did take under five minutes to make! Was it delicious? Hell yes. Would I also add hot sauce or an avocado next time? Yes again. 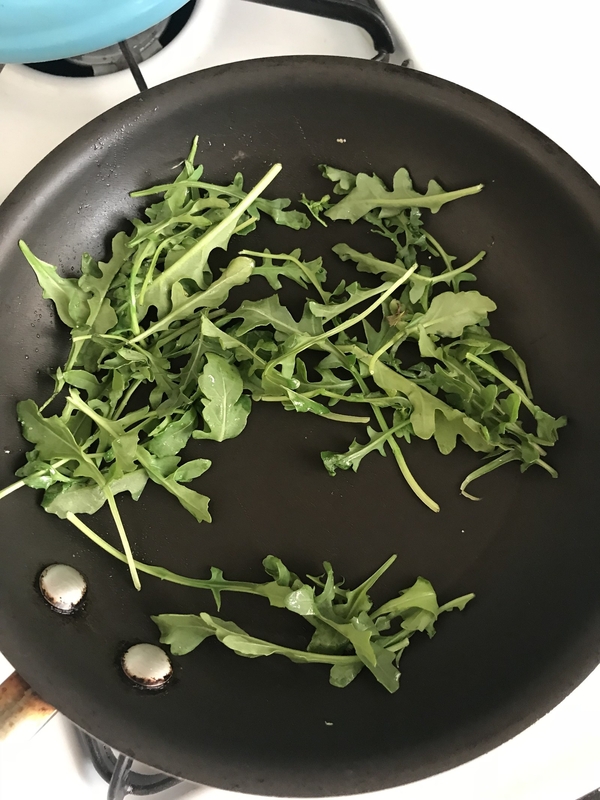 I'd also skip wilting the arugula and just use it fresh next time! 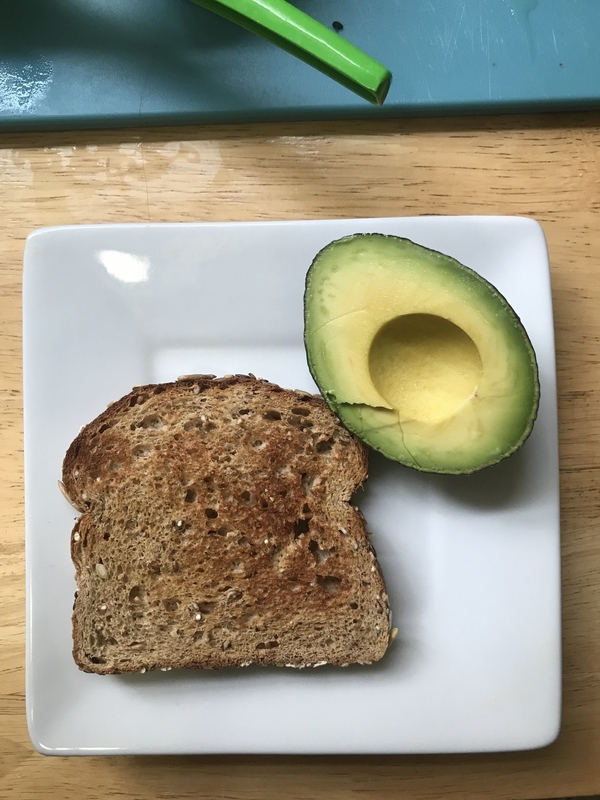 When I first saw this five-minute avocado toast pin, I was pretty certain I could easily recreate one of the 6 toasts. Maybe I'm just a California cliche but I love avocado!! 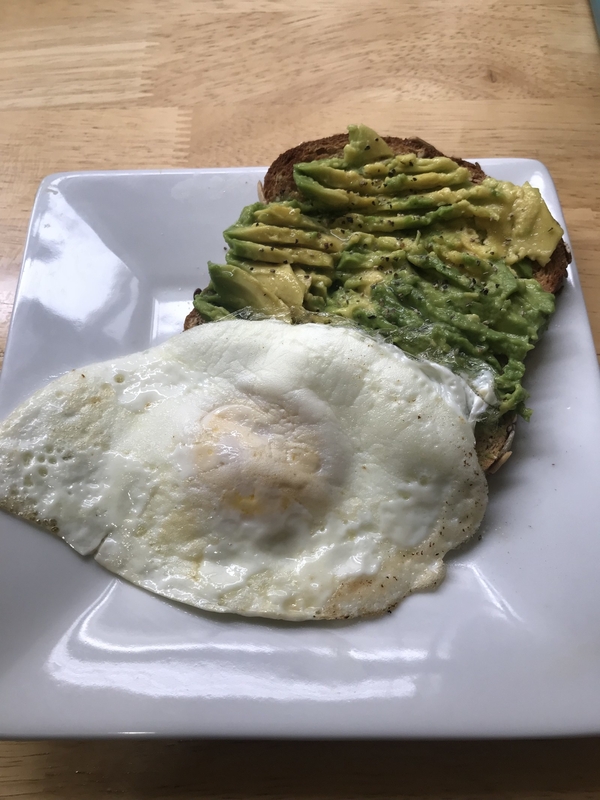 The five-minute avocado toast and egg recipe can be found here! I chose the simple avocado toast with an egg recipe, but I decided to add in a little bit of lime juice to zest it up a little! YUM. 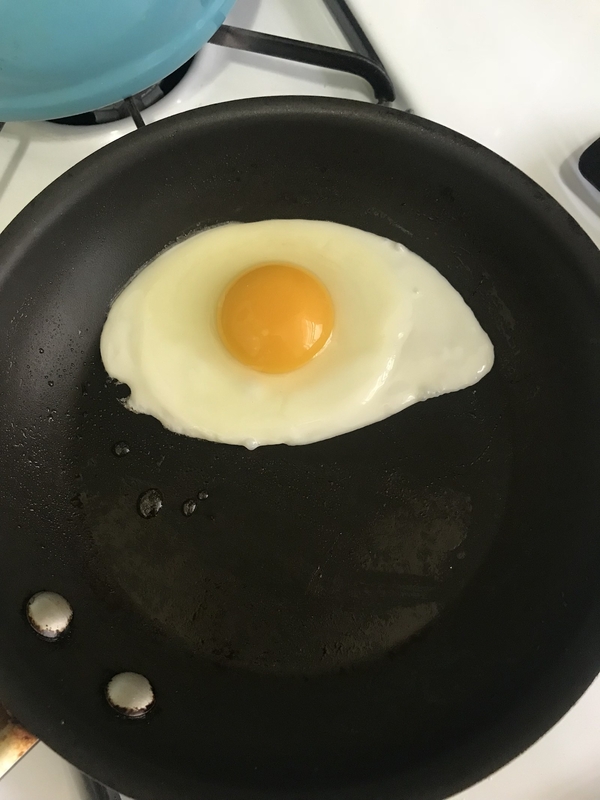 While the toast was in the toaster, I fried up my egg over the stove. The recipe called for sunny side up, but I made mine over easy. Everything came together pretty quickly! 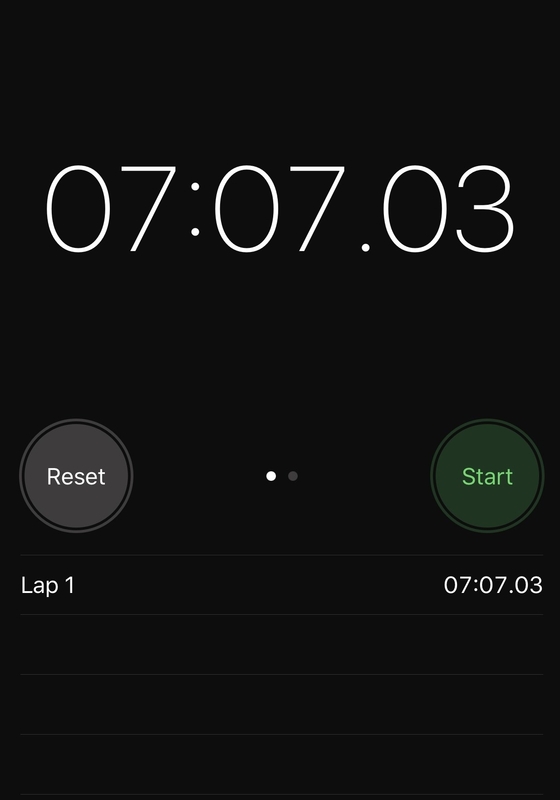 This was for sure my fastest breakfast yet, and it felt BOTH healthy and filling. The lime added a great flavor to the smashed avocado, but I would maybe add Sriracha next time for an extra kick. OK, let me start out by saying I'm from Texas, where breakfast tacos are THE JAM. I'm not going to lie, when I saw the picture in this pin it made me very sad. I mean, a sausage in a tortilla?!? So I took the liberty of tweaking this recipe just a little. 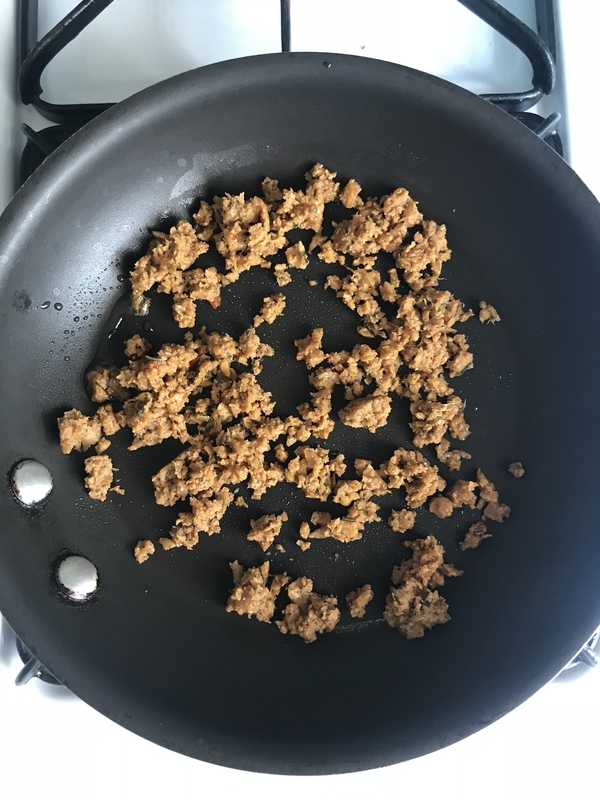 This five-minute breakfast taco recipe can be found here! Instead of using microwave breakfast sausage, I picked up some plant-based grounds to use as the "meat" protein. It's already cooked, so I knew it wouldn't take forever to heat up and cook on the stove. I also think any type of fast and easy microwave meat grounds would work, too. After the grounds heated up on medium-high for a minute, I cracked two eggs in the same pan. They cooked instantly and scrambled well into the mix. 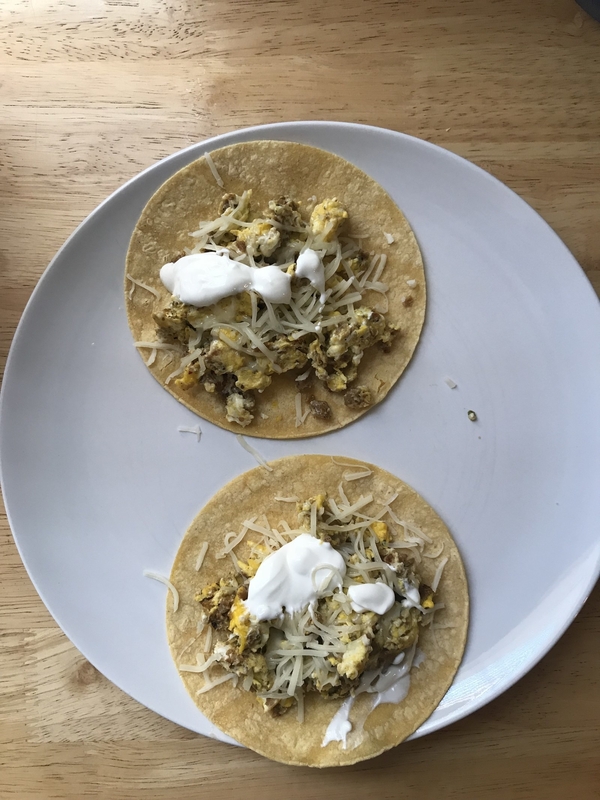 Once everything was done cooking, I divided the egg/ground mix between two corn tortillas and topped it off with sour cream and cheese. I was shocked that the entire process took a little over three minutes! 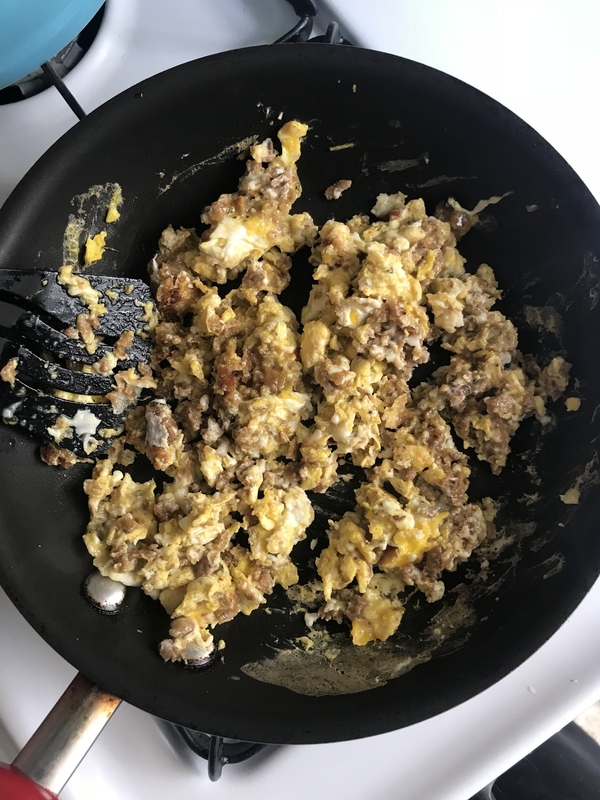 For very basic breakfast tacos, these were pretty good! Quick, easy, and tasty. Plus, I was definitely full until lunch. I also love that you can customize the toppings based on how you feel that day. Throw on an avocado? Sure! Salsa? Hell yeah. When I first saw this pin, I thought it sounded excellent — like an upscale scrambled eggs meal you'd get at brunch. The best part was that the entire cooking process took four ingredients and one pan to cook in! 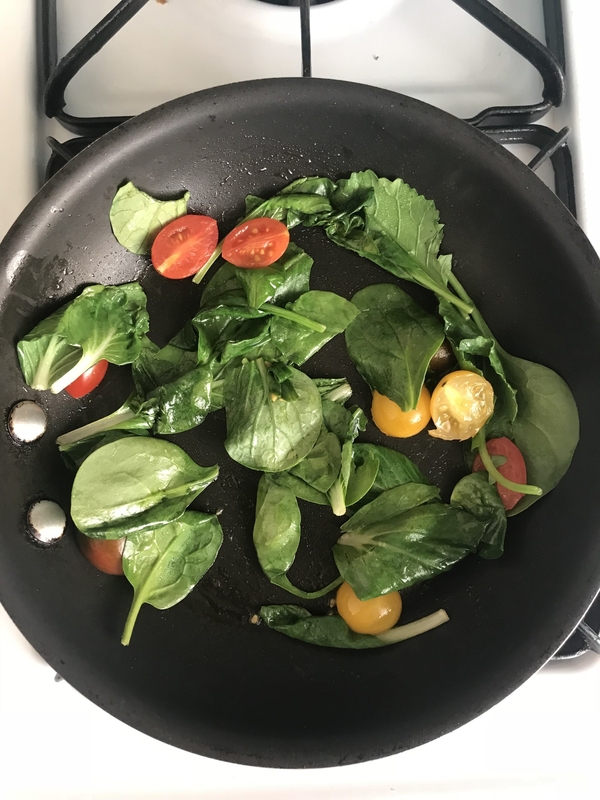 I first started by cooking the spinach and halved tomatoes in olive oil over medium-high heat. Then, I added in the eggs and scrambled it all up! This breakfast was yet another success time-wise! It was under the five-minute mark and turned out GREAT. I loved everything in this scramble. The feta added a creamy texture and the tomatoes created a burst of flavor. I'd absolutely make it again. To be fair, I really loved all of these. 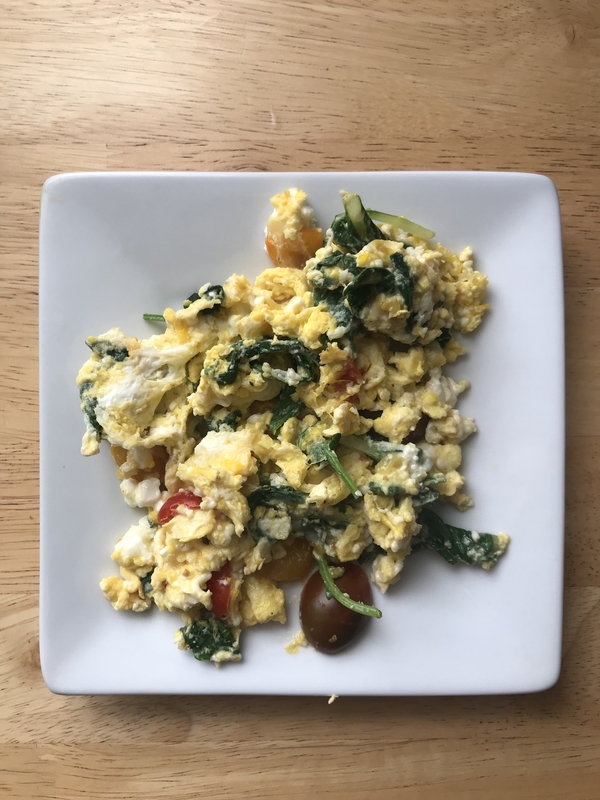 In terms of easiness to whip up and taste, the Mediterranean scramble was my fave. Even though it was still good, my least fave would probably be the avocado toast. I think it just needed a little more to zest it up!